Following the tragedy of the Costa Concordia the global cruise industry has announced a new emergency drill policy requiring mandatory muster for embarking passengers prior to departure from port. AERBT called for this in the January issue of CRUISE NEWS. The Cruise Lines International Association, European Cruise Council and the Passenger Shipping Association put forward the new procedure with the support of their member cruise lines. On rare occasions when passengers arrive after the muster has been completed, passengers will be promptly provided with individual or group safety briefings that meet the requirements for musters applicable under the International Convention for the Safety of Life at Sea (SOLAS). The formal policy is designed to help ensure that any mandatory musters or briefings are conducted for the benefit of all newly embarked passengers at the earliest practical opportunity. In spite of the bad headlines experienced just over one month ago the Telegraph Cruise Show will take place at Olympia next month (Saturday-Sunday 24-25 March) amidst high expectations of a record cruising year. With some 75 cruise companies and specialist operators signed up, the show covers all aspects of cruising. 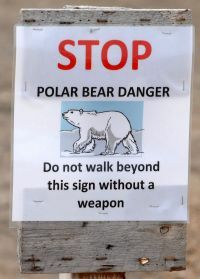 If you fancy a trip to the Antarctic you will find a number of real specialists. The same goes for the Galapagos and the South Sea islands. Deep sea cruising ranges from Hebridean with just 49 passengers to RCCL megaships catering for up to 6,360. And everything else in between. On offer are tiny costal boats where the package can be tailored to individual requirements. River cruising is gaining in popularity. China will be represented, the Chobe River between Botswana and Namibia, Russia and the great rivers of Europe. You can switch off completely or take you own wi-fi. New are holiday photography seminars, a Scott to the South Pole Gallery, and presentations on shipboard casinos and entertainment. Spread out over the two days of the show, talks cover all aspects of cruising and are particularly geared to those who have never cruised before. It is a very heavy programme. There is a “small ship” cruising theatre and a “world of travel” theatre also. Both have busy programmes. One final word. If you are ready to book the show is an ideal opportunity. There are bound to be plenty of trips on offer at very attractive prices. Our cruise on P&O Arcadia was an exception to the family friendly cruise as it is a contemporary adults only ship. This is the first time we have cruised on a child free ship and we loved it. On our previous cruise there were over 500 children on board some of whom thought the ship was their playground in the sea. We all have our own expectations when cruising and without unruly children ours were met more fully. It also helped that we had an excellent itinerary and were blessed with exceptional table companions. The currency is Sterling and tipping 10%. Everyone has a different idea of what luxury means to them. It might be the impressive service, the outstanding levels of comfort, the fine dining with elegant formal evenings, the range of facilities available, or simply the time to relax. For us the itinerary provided the luxury. A summer cruise to the Arctic Circle sounds like a contradiction in terms. However, it provided breathtaking scenery with 24-hour daylight for three days which was certainly out of the ordinary. The magnificence of the ship was certainly shown off in the beauty of the fjords of Norway. 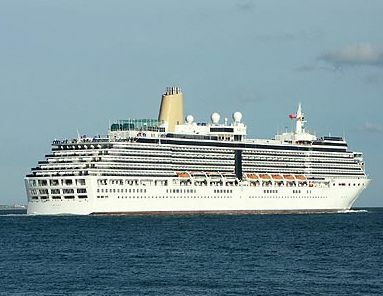 At 83,500 tonnes, Arcadia is the third largest of the seven ships under the P&O brand. It was built by Fincantieri in Marghera (Italy), it has 11 decks, with 1,008 cabins and has a maximum passenger capacity of 2,388. The ship officially entered service with the company in April 2005 and was named by Dame Kelly Holmes. Arcadia had a major refit at Lloyd Werft shipyard in Bremerhaven (Germany), when 34 cabins were added to the stern. It has a three-tier restaurant, a “west end” Palladium Theatre, casino, a 30-seat cinema, an Oasis Spa with hydro pool and thermal suite. Also for the fitness enthusiasts there is an ocean view gymnasium, a poolside grill and for that relaxing drink the Crow’s Nest bar. The embarkation was trouble free and most efficient. We arrived at the terminal at around 12 noon, dropped our cases at the luggage point, our car was then taken to the car park. A friendly welcome at check-in, then straight through security and we were on the ship. We were advised on arrival that cabins were not available until 14:00, so whilst waiting we had lunch in the Belvedere restaurant. Our roomy balcony cabin was on the Arcadia deck, it was spotlessly clean and well designed and had a small fridge, TV, settee and a small but adequate en suite bathroom. Tea and coffee facilities are provided. Other operators should copy. Sadly this was not as good as on the other P&O ships, although the food in Arcadian Rhodes was superb, as it was in Orchid Restaurant. In the main restaurant we felt that standards had generally dropped and whilst the food was of a fair standard, it was often only luke warm when reaching the table. It was really no better than any local restaurant back home and that's not what we have come to expect of P&O ships. The Belvedere self-service restaurant is available 24 hours a day and ideal for cruisers who don’t wish to use the more formal dining areas. The food was very uninspiring, poor quality pub food but this may have been exactly what some passengers prefer. After around 20:00 the service here is very minimal along with the variety. Many staff in the self-service restaurant looked bored and listless but after being on the ship for many months the motivation must be difficult, but not impressive for a new intake of passengers. Drinks were very reasonable and compared favourably with UK pub prices. The large number of scooter users/wheelchair users was unavoidable, but made worse by poor and even rude attitudes towards more able bodied passengers; this left a lot to be desired. However I was indeed privileged to meet Mavis A who has disabilities and is a motorised wheelchair user. Mavis explained some of the difficulties she has had whilst cruising and it did open one’s eyes to daily occurrences that the able-bodied take for granted. She said that her communications with P&O were excellent and that they went out of their way to help with any problems. Our Itinerary included Stavanger, Alesund, Bergen, Trondheim, Tromsø, Ny Alesund and Eidfjord. The jewel for us was Ny-Ålesund; it is situated on the south side of the deep and sheltered Kongs Fjord on the west coast of Spitsbergen. It is one of the world’s most northerly settlements, a centre for international Arctic research and environmental monitoring. 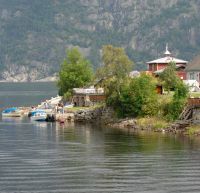 We also enjoyed the beauty and tranquillity of Eidfjord, the inner most municipality on the Hardanger Fjor in the south-western , width steep mountains surrounding a beautiful fjord, a mighty powerful waterfall, majestic glaciers and a mountain plateau. The evening entertainment on board was wide and varied, trying to cater for all tastes. The shows from the Headliners Theatre Company were excellent, a group of multi-talented singers, actors and dancers who performed three shows. This was a thoroughly enjoyable cruise, with good ports of call and excellent table companions. Let’s hope that P&O maintain standards and keep the British traditions for which it is renowned. The 2013 summer brochures are all out and if you want a special cabin, or indeed passage on a smaller ship now is the right time to book. You can wait until nearer the embarkation date but there is bound to be no balcony cabins left, although the price may be discounted. REGENT SEVEN SEAS CRUISES has launched a new brochure dedicated to what it calls their Grand Voyages 2012/13 collection. From October 2012 through to June 2013, the ultra-luxury line boasts an impressive series of sailings ranging from seven to 143 nights. Overnight stays are also offered in more than 25 major cities typically Ho Chi Minh City, Bangkok, Shanghai, Osaka, Taipei, Mumbai, Buenos Aires and Rio de Janeiro, giving guests a more enriching destination experience ashore. Many cruises within the Grand Voyages collection offer free excursions.